What, where, when, why? 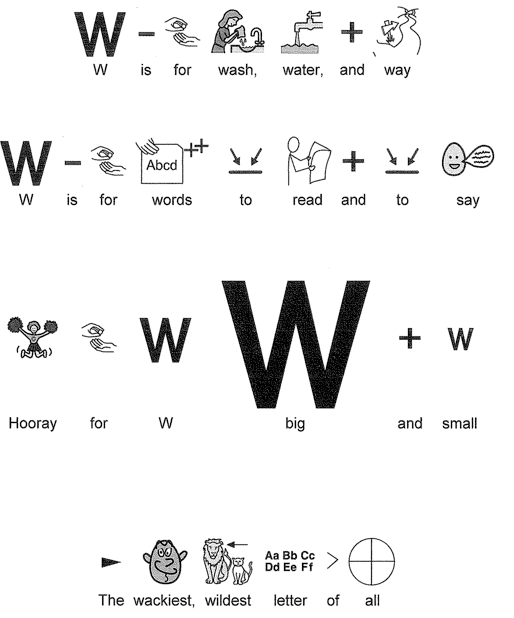 All of these great questions begin with “W”. Ask questions and encourage your child to ask questions!!! I call this “blowing” sound. The lips round like you are about to blow bubbles. Wide/narrow: Spaghetti noodles are narrow, lasagna noodles are wide. Make wide and narrow roads on paper or with blocks and drive cars carefully on the narrow road and carelessly on the wide road. Wet/dry: 1)Help with laundry, talk about wet/dry clothes. 2) Use a spray bottle to get fingers and toes wet. Now dry them with a towel. 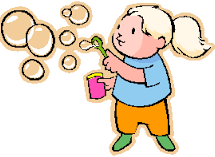 3)Give baby doll a bath and talk about wet and dry. Weak/strong: Show off your muscles. Talk about the strong trunk of a tree and the weaker branches. Explain what a wish is to your child. Now ask them what their 3 wishes would be if granted. Ask them to ask you what your 3 wishes would be. This could be a good time to teach morals and values, “world peace, no hunger, etc” . Make wagon wheel pasta for lunch or dinner. Talk about wild/tame, wide/narrow, and wet/dry. 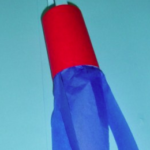 Make a wind sock with a paper towel roll and crepe paper. Go for a walk. Try a pattern of “walk, walk, stop/ walk, walk, stop”, “walk, stop, walk, stop”, “walk, walk stop, walk, walk, stop” as they take steps. Have them make the patterns for you!